Life is but a Dream. That lyric from a ubiquitously famous children’s song takes on a deeper, and far more surreal, meaning when placed in reference to certain forms of contemporary art. For me, the experience of any kind of artwork is always more satisfying when it can facilitate transportation to an alternate reality or dreamlike state. 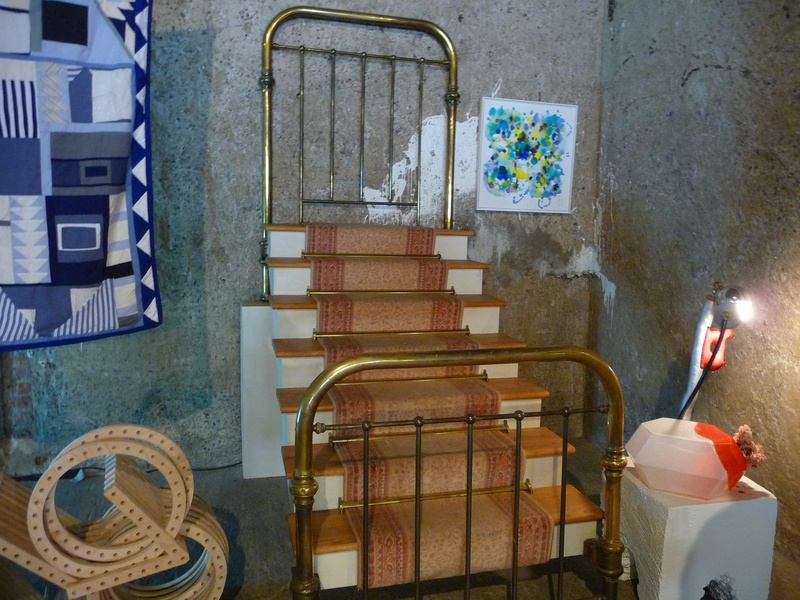 Having taken possession of a massive, street level space in Chelsea, the 7eleven Gallery is currently hosting just such an experience; a group exhibit entitled Make Yourself at Home. As the title suggests, the vast industrial space has been transformed into life sized tableaus of re-imagined every day rooms – bath, bed, living, dining – that reminded me of interior design as executed by Tim Burton consulting with David Lynch. 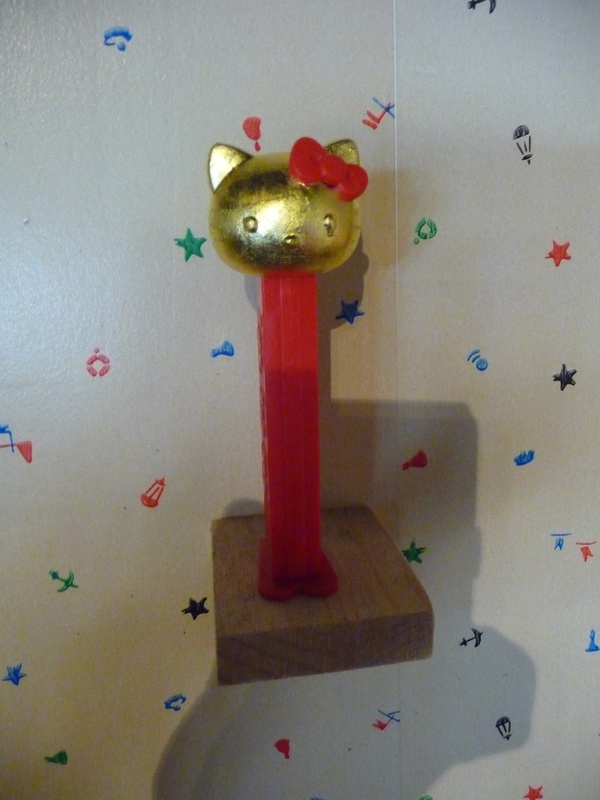 While the furniture – which included a fountain springing from the center of an upholstered ottoman, a sofa woven from black electrical chord (adorned with eyeball throw pillows) and a bed with a staircase replacing its mattress – provided the focal centerpieces, I appreciated the small details, from wallpaper printed with thousands of tiny helicopters to a Hello Kitty Pez on its own tiny shelf, that brought the themes of each room to life. 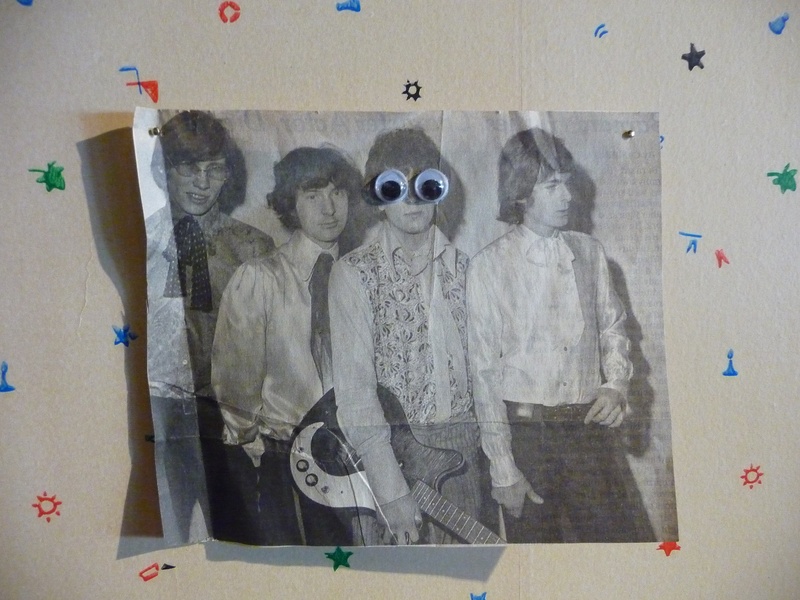 What could be a teenager’s bedroom featured a newspaper photo tacked to the wall depicting the classic Sid Barrett-era Pink Floyd, complete with googly eyes glued to Barrett’s Face. 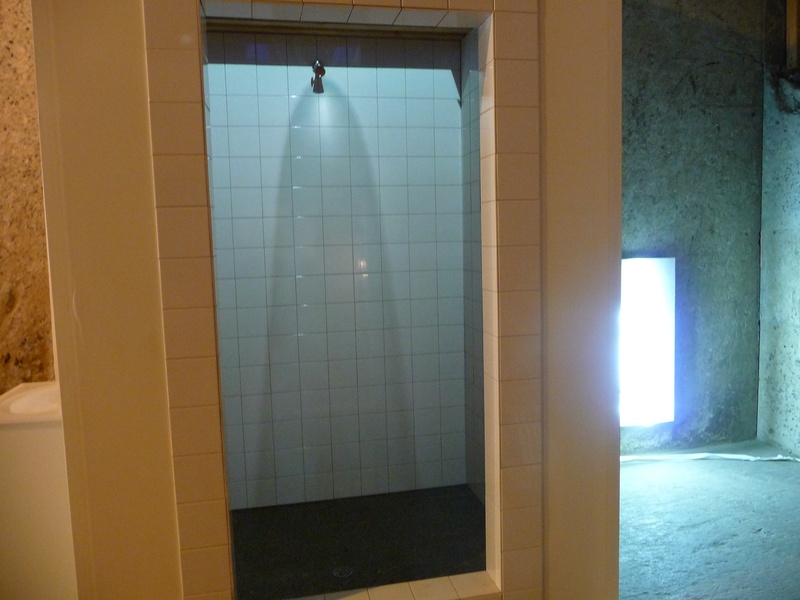 I also loved the shower stall’s falling water hologram accompanied by the sound effects of water running. Very trippy! In direct opposition to most exhibit’s strictly hands-off policy when it comes to “interacting” with the art works, here visitors are encouraged to literally ‘make themselves at home’ and touch or sit on the furniture. Like an underground version of last year’s high profile Showtime House, Make Yourself At Home – highly recommended for both fans of art and modern interior design – is one of my favorite exhibits of the year so far. More cool pictures can be seen over at Geoffrey’s Blog, and I thank him for providing the images seen here. Make Yourself At Home runs only through June 6, 2010 at the 7eleven Gallery, located (temporarily) at 169 Tenth Avenue near 20th Street in Manhattan. PHOTO 1: Quilt by Elissa Goldstone. Staircase by William Stone. Bookshelf by Francesco Galletto. Painting by Jordan Betten. Vase by John Torreano. Lamp by R.M. Fischer and table by Max Lamb. Make Yourself at Home curated by Caroline Copley, Sabrina Blaichman and Genevieve Hudson-Price, open until June 6th, 2010.